Brazil needs us now! Nepada travel through Amazonia last year and got to know the most species-rich forests, the rarest animals and wonderful locals. All the more shocking were the Brazilian election results of an ultra right-wing president, who wants to promote deforestation of the Amazon and dissolve reserves of indigenous communities. We cannot stand still while politics destroy Brazil’s rainforests and habitat for many indigenous people and endangered species – a green lung of our planet. And the change is coming: Deforestation has already increased by 84% since last September! Basically, in the Amazon, land has to be purchased to bring it into private possession and thus to protect against exploitation and offer the locals a permanent habitat. What the reserves have done so far, will not be safe in the future: they are state owned and are now in danger. The task is to convert the land into private property or buy back land that is already privately owned. Here you can find more information about the project and an interview with the tribal leader of Huni Kuin. The Amazonian rainforest is in great danger. Thanks to you guys a fabulous donation of 1,700 Euro was raised by Nepada Wildlife for the Scarlet Macaw Program in Guatemala. 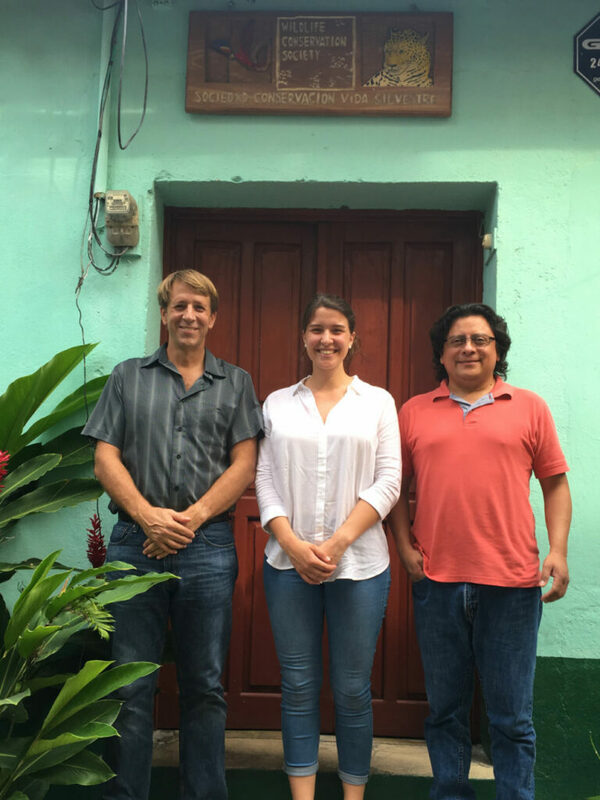 Hannah personally handed the money over to the Wildlife Conservation Society Guatemala and was overwhelmed by the great gratitude and joy that she received back. Hannah herself worked with the locals at the research station in the middle of the jungle, received an insight of the conditions and problems on-site and we are more than happy that our donations are such a great help. 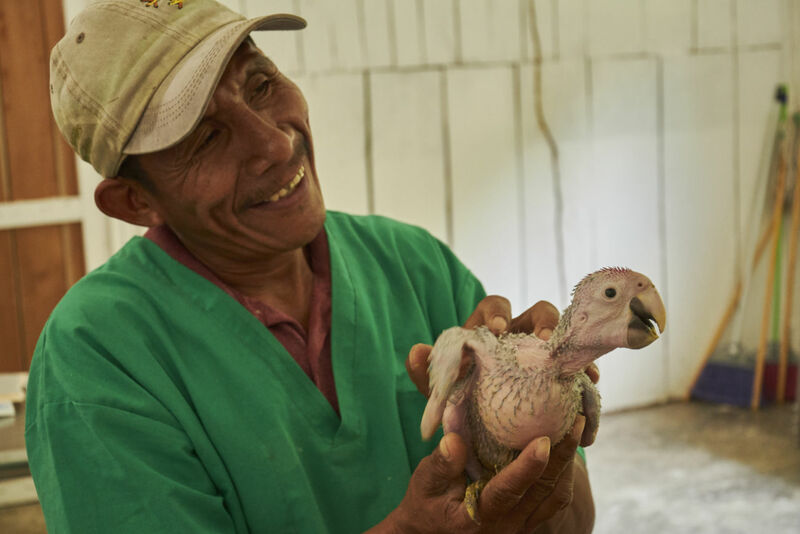 We were able to use the money to buy equipment for the breeding of the macaw chicks that was urgently needed, finace new functioning climbing gear and support the salaries of the field technicians. THANK YOU for your great commitment!